I recently had the opportunity to tour wild blueberry barrens in Maine, and have since become enamored with these wholesome little fruits. Currently, one of my favorite ways to enjoy them is in this wild blueberry bliss smoothie, which I’ve also dubbed as a fantastic “Back to School” beverage. Wild blueberries are packed with more of the good stuff than cultivated blueberries (antioxidants, fiber and flavor!). Also, because they’re more delicate, they’re always frozen (locking in the nutrition within 24 hours of harvest) and available year round. In the past, I tossed blueberries into banana smoothies for a little burst of berry flavor and to mask the color of greens. But they still tasted like banana smoothies. I wanted a smoothie where wild blueberries were the highlight, so I omitted the over-powering ripe banana and tested other complimentary flavors. I soon discovered that So Delicious Almondmilk, almond butter, dates, and cinnamon enrich the natural taste and consistency of wild blueberries. They also add balanced nutrition and fall flair for a wild blueberry bliss smoothie that is worthy of busy morning breakfasts. I know how many of you want or need banana-free smoothies. 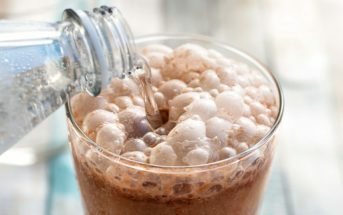 Therefore I thought I would include a little round-up of dairy-free, banana-free smoothie recipes. 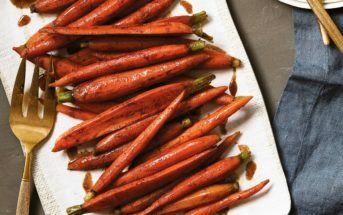 They all happen to be vegan, plant-based, and gluten-free, and many are also allergy-friendly. 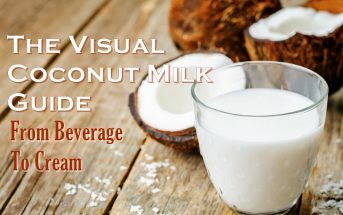 This post is sponsored by So Delicious Dairy Free, the makers of my go-to unsweetened almond milk beverage for smoothies! The opinions written here are my own, and so are the recipe and photos for this scrumptious wild blueberry bliss smoothie. 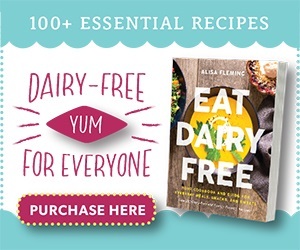 By ingredients, this recipe is dairy-free / non-dairy, egg-free, gluten-free, peanut-free, soy-free, vegan, plant-based, vegetarian, and optionally paleo. 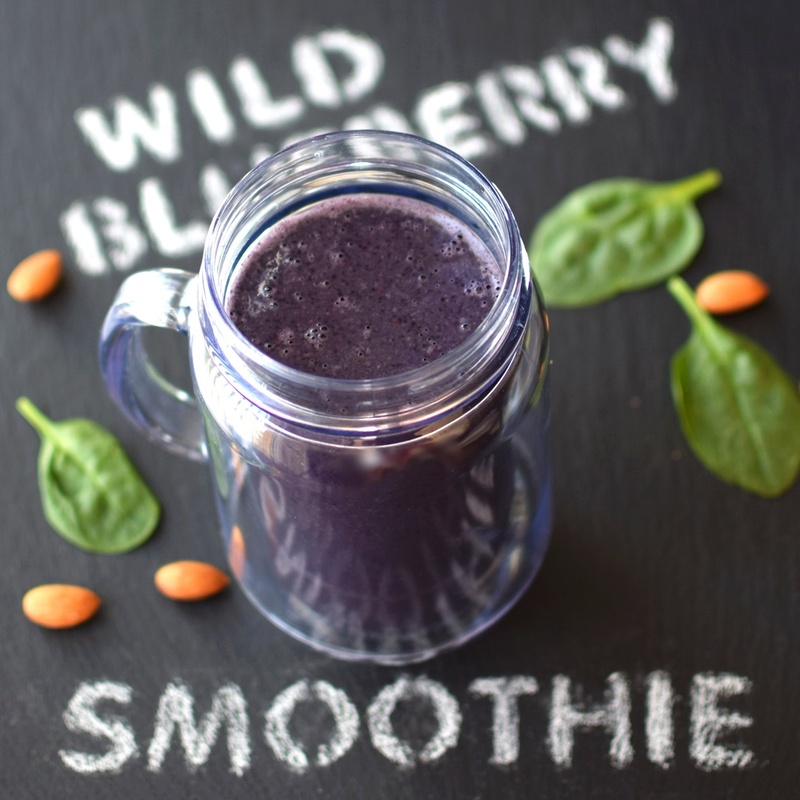 For a nut-free wild blueberry bliss smoothie, you can swap in sunflower seed butter for the almond butter and coconut milk beverage for the almond milk. 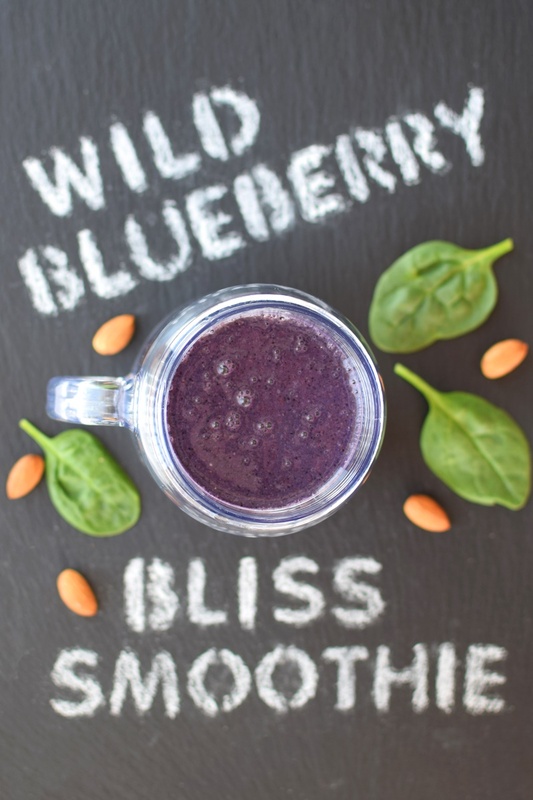 Almond milk and almond butter pair wonderfully with wild blueberries in this sippable smoothie. They have complimentary flavors and round out the nutrition with healthy fats, protein, vitamins and minerals. Pour half of the almond milk into your blender and add the dates, almond butter, cinnamon, and spinach leaves. Blend the ingredients until smooth. Add the wild blueberries and the remaining almond milk and blend until the beverage is smooth and lightly creamy. *If your dates are not nice and soft, let them soak in the almond milk for 10 minutes or so before blending. I love wild blueberries and it makes a refreshing to change to see so many banana free smoothies! Me too! I’ve found that wild blueberries really stand well alone, too, as long as you add the right amount of liquid. Blueberries are my #1 add in for smoothies, they give so much sweetness naturally! I had to laugh to and LOVE this post because I absolutely hate bananas and seeing this roundup of all banana-less smoothies made my day! Forget back to school, this needs to be enjoyed all year! Well, it would be the end of the world if we ran out of bananas. But sometimes we do and I try to make a smoothie every morning … so I will keep this post in my back pocket! Wish I would have found this years ago. For awhile my son tested positive to bananas, and it was SO HARD to find banana-free smoothie recipes. Great idea! I love blueberries and almond together, so good! Me too! It’s like a grown-up, natural PB&J combo. I love back to school time. I seem to get more creative in the kitchen! This smoothie recipe looks delicious! I like back to school time now that I don’t actually have to go back to school! My daughter doesn’t like bananas, but loves blueberries. This is great! Oh she will love this then Amanda! Wild blueberries times two! A few were amazed by how deep the hue of this smoothie is. 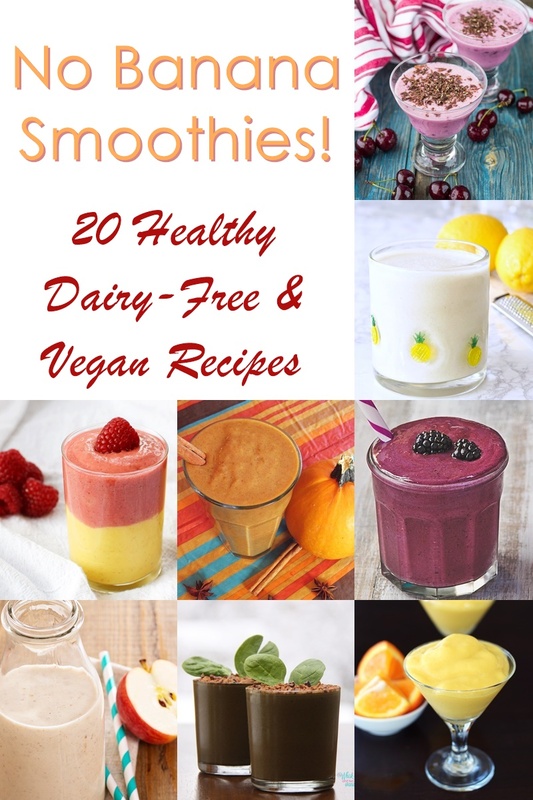 Love all of these banana free smoothie recipes! I never thought that some people would need one without banana, but it makes sense! Yep, probably my most frequent smoothie request! Love the idea of adding cinnamon to smoothies, sounds so comforting! I add cinnamon to smoothies often, but always make sure there is a little salt (even a pinch) to heighten the flavor. I’ve seen people excessively use cinnamon in smoothies (which isn’t always a good thing!) to try to get that cinnamon flavor. A little salt brings it out and balances things. So totally funny, but the first thing I thought of when seeing this is Brandi and how much she hates bananas! She will LOVE this post! LOLOL! Blueberries in smoothies are amazing! I love that dash of cinnamon, so yummy! 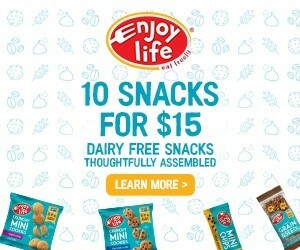 Perfect snack for my kiddos!! 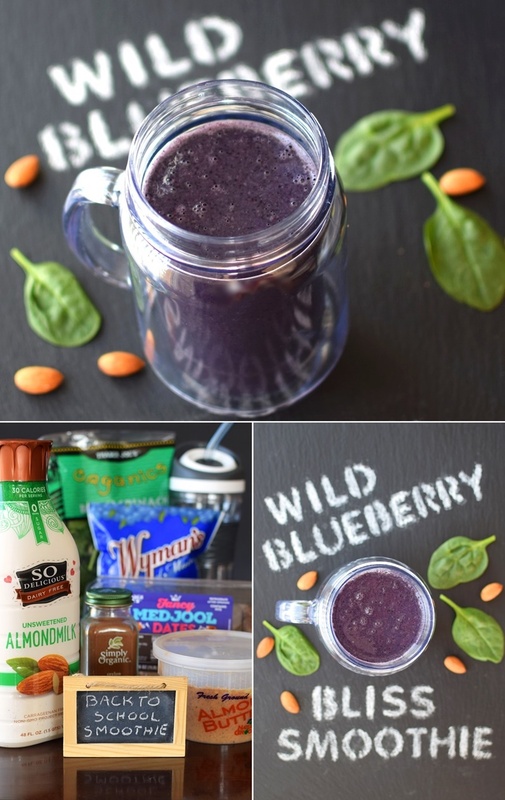 This wild blueberry smoothie looks amazing, Alisa! LOVE wild blueberries in smoothies! And the color is always gorgeous too! There’s something about purple food, isn’t there? So enticing. Woohoo! I can’t eat raw bananas so I absolutely love it when people post banana-free smoothies 🙂 They all look gorgeous, particularly this blueberry one (blueberry is the best smoothie ingredient). I think those of us who can/do eat banana often don’t notice how much we rely them! It’s good to give some love to all of the other wonderful fruits! I am obsessed with SO almond milk. It’s my fav! So creamy and delicious. I bet it tastes amazing in this pretty smoothie too! Me too Chrissa! The nutty flavor always seems so perfect in smoothies, too. 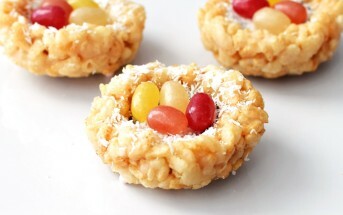 Thanks for sharing all of this- we love So Delicious as well as almond so win-win. Plus, new recipes are always great! 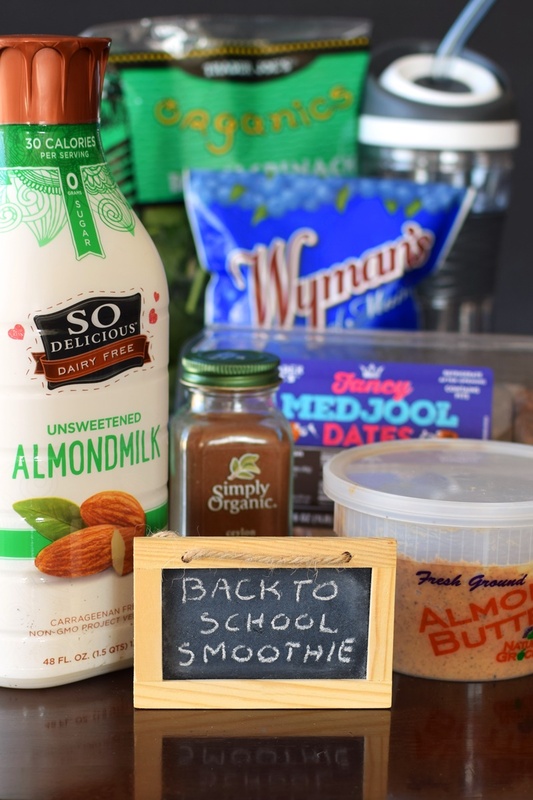 I’m not going back to school, but I’d love to dive into a lot of these smoothies this fall! i LOVE my daily smoothie, but have just never loved blueberries in it. I think it’s because it gets stuck in my teeth and them I’m at a meeting like that weirdo with food! That’s interesting. I haven’t had that problem with the wild blueberries. They are thinner-skinned than the cultivated ones, so they blend up pretty well.